As a band becomes more popular and brings in more income, a common next step is to formally incorporate the band as a business. Doing so will bring the band a number of financial and tax related benefits, but also brings a number of responsibilities. 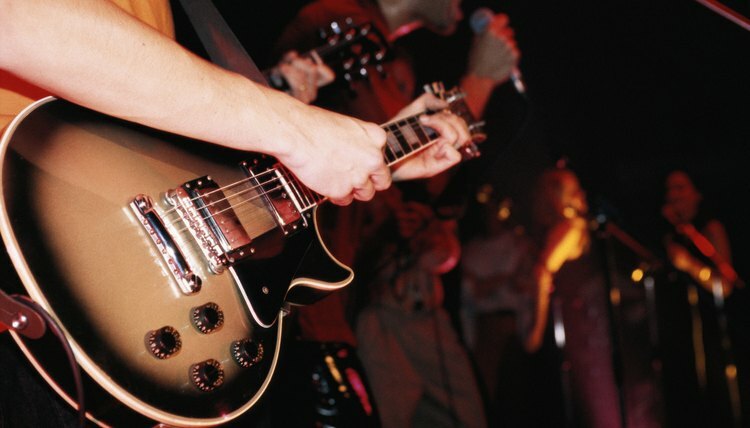 The main reason to incorporate your band is to gain limited liability protection. Without incorporation, each member of a band is personally liable for for any debts of the band. This means, for example, if a label sues your band over a copyright issue, creditors could come after your home or car to pay the debt. Additionally, there may be a number of tax advantages, such as the ability to write off depreciation of instruments purchased by the band. On the other hand, there are potential disadvantages with incorporating. There are a number of ongoing fees that must be paid to the state, certain entities may face double taxation and there is the time-consuming requirement of record keeping of all income and expenses. The form of business the band operates will determine what taxes must be paid. All businesses except partnerships must file an annual income tax return, while partnerships file an information return. Generally, bands must pay taxes on income, including self-employment tax, by making regular payments of estimated tax during the year. Self-employment tax refers to Social Security and Medicare tax, and must be paid by any individuals whose self-employment income is more than $400 in a year. Depending on the business structure, bands may also have to pay employment and excise taxes. An important step in incorporating a band is determining which business entity is appropriate. The most common forms of business entities are sole proprietorship, corporation, partnership, and limited liability company. A sole proprietorship does not provide any limited liability protection and is only applicable to one-person entities, so it likely not a good match for most bands. In turn, a corporation does provide limited liability, but there a number of strict ongoing corporate formalities requirements. For this reason, a number of bands instead choose to form an LLC or a limited liability partnership. Each of these entities limits the liability of the band, and also allows tax to "pass through" the band, meaning the income is only taxed once. The availability and details of each entity will vary by state. The first step in setting up a business is applying for an Employer Identification Number (EIN). An EIN is a unique number used to identify a business entity, and will be used on all the incorporating documents. The application for an EIN is free, and may be completed online at the website for the IRS. Once a business entity has been selected, the forms to incorporate the business must be filed in the state the band is located. The Secretary of State is usually the office to contact to acquire the correct forms. If there are any employees, they must fill out Form I-9 and Form W-4 to be kept on file. Finally, incorporated bands must be their business taxes.